General Motors today yet again called back more vehicles for safety-related defects - this time a total of 8.4 million in North America - with an especially urgent message for owners of 6.8 million large cars in the United States: Your ignition could shut off without warning, and you shouldn't have anything on your key chain until further notice. The six fresh recalls deepens the crisis facing the nation's largest automaker, just as it announced a plan to pay victims killed or injured by faulty ignitions in 2.2 million small cars, with families of the decased eligible for at least $1 million. The new recall means that GM must fix some 29 million vehicles around the world, with 54 separate campaigns. Today's largest recall among the 7.6 million cars and trucks it called back in the United States dwarfs all others GM has announced this year, covering some of its most-popular sedans from the last 15 years. The new ignition-switch issue affects 6.8 million 1997-'05 Chevy Malibus; 2000-05 Impala/Monte Carlos; 1998-2002 Olds Intrigues; 1999-04 Aleros; 2004-08 Pontiac Grand Prix and 1999-05 Pontiac Grand Ams. Among the five other recalls, the largest involved 554,328 2003-14 Cadillac CTS models and 2004-06 Cadillac SRX SUVs, also for unintended ignition rotation. GM did not provide many details on the cause of the new problem, the expected solution or how long repairs would take. It did say it was aware of three fatalites linked to "inadvertent ignition key rotation," but that "there is no conclusive evidence that the defect condition caused those crashes." In the Cobalt cases, the keys could suddenly shift out of "run," shutting off the car and disabling its air bags, a problem GM's own investigation found its engineers struggled to solve for more than a decade before the first recall this January. "We have worked aggressively to identify and address the major outstanding issues that could impact the safety of our customers," said General Motors CEO Mary Barra in a statement. "If any other issues come to our attention, we will act appropriately and without hesitation." 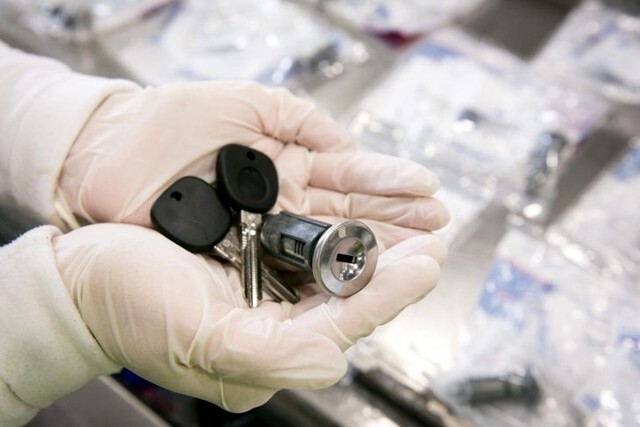 GM once again urged customers to remove anything from their key chains and use only the ignition key until repairs can be made, just as it has with the Chevy Cobalt and millions of small cars. The recalls also raised GM's own estimate for its recall costs to $1.2 billion in this quarter alone, raising the total for the year so far to $2.5 billion.